SOME DAYS I WANT TO GO BACK IN TIME AND FIND PRE-KID ME, WHO - ProudMummy.com the Web's Community for Mums. 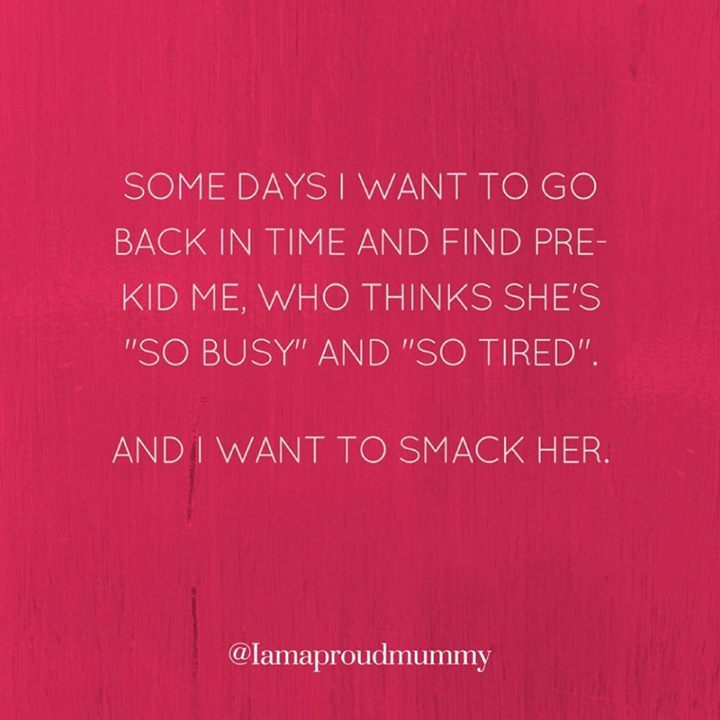 SOME DAYS I WANT TO GO BACK IN TIME AND FIND PRE-KID ME, WHO THINKS SHE'S "SO BUSY" AND "SO TIRED". AND I WANT TO SMACK HER. Danya Andrew-Quddus Julie Thomas this is so me!!!! !